Dylan Scott was 5-6 as a freshman at King’s Way Christian. Now, he is a 6-foot tall lineman and linebacker. 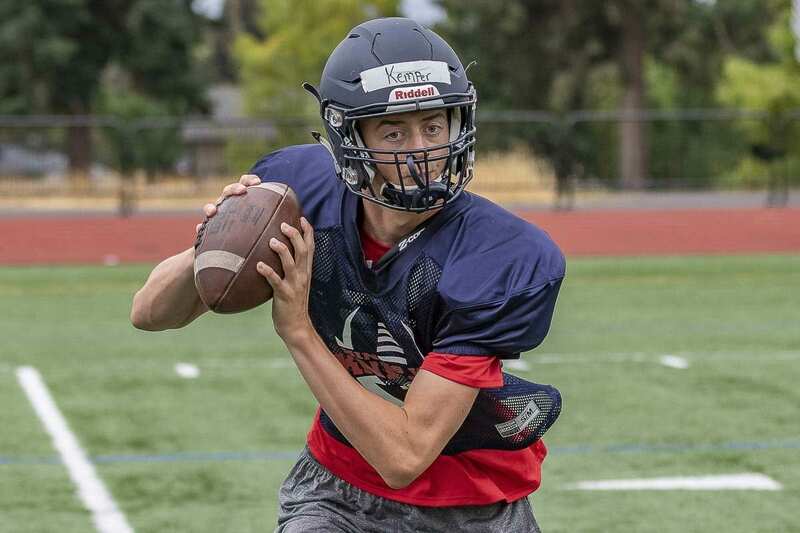 He also hopes King’s Way Christian football continues to grow. Photo by Mike Schultz. Edited by Andi Schwartz. 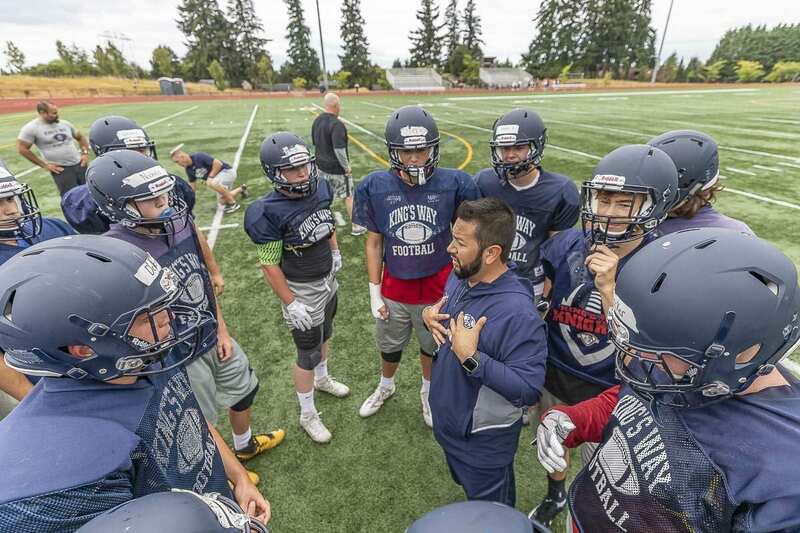 VANCOUVER — It has been one interesting ride for the football players at King’s Way Christian, so many twists and turns on this road. That journey, though, makes it special to be where they are now, especially for senior Dylan Scott. He also wants to be a leader on the team that helps stabilize the program. Brian Rodriguez is the newest new head coach for the Knights. 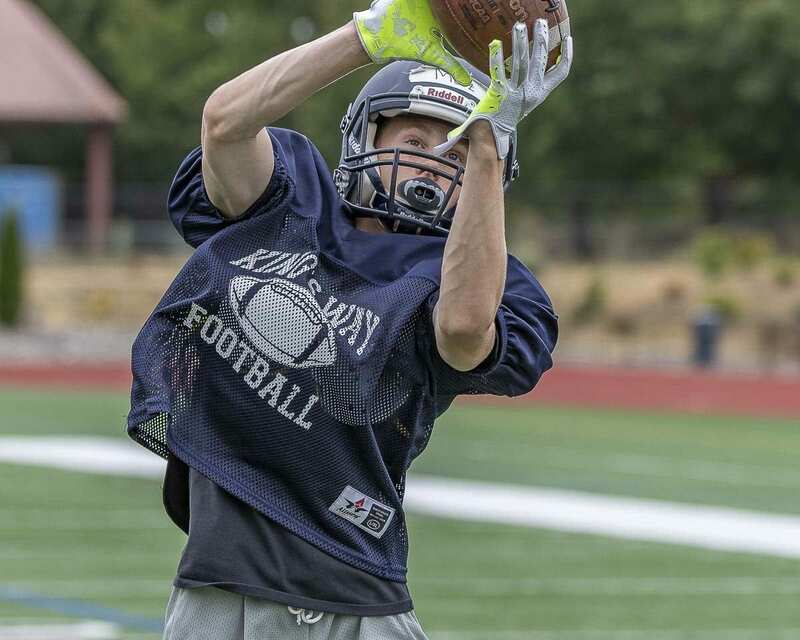 A former assistant at Skyview, he is the fourth head coach in the past four years. The Knights had a lot of success on the field when Scott was a sophomore, playing special teams. That team was loaded with seniors, though, and the head coach took another job. 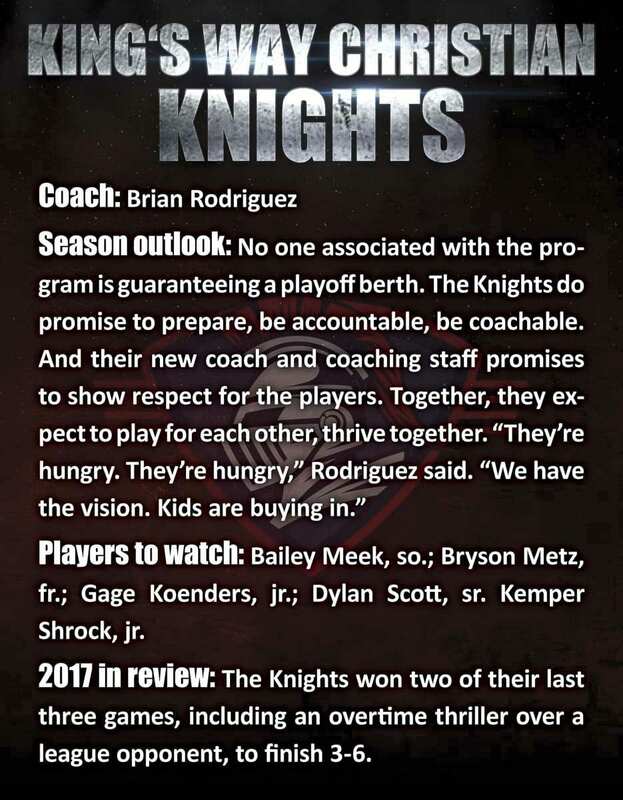 Last year, the Knights went 3-6, and the head coach resigned. No doubt, the constant turnover has taken a toll. It does not have to remain a negative, though. Starting now, Scott says, it is all positive for the Knights. Now it is time for the senior leaders and Rodriguez to show the rest of the King’s Way supporters that this is a new beginning. While the seniors only have one season left, if they achieve what they set out to do, the program will thrive in the future. 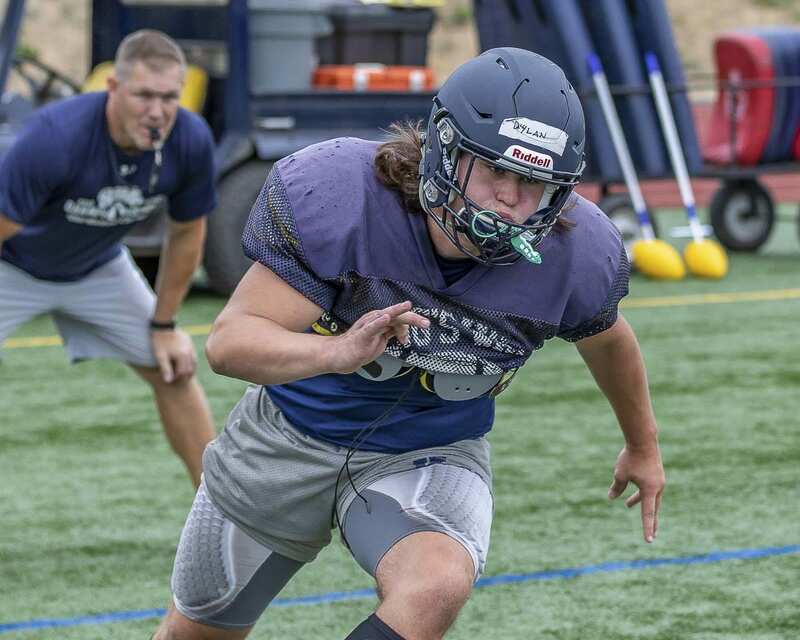 Wins on the field would help, but something more important is required for King’s Way Christian football. 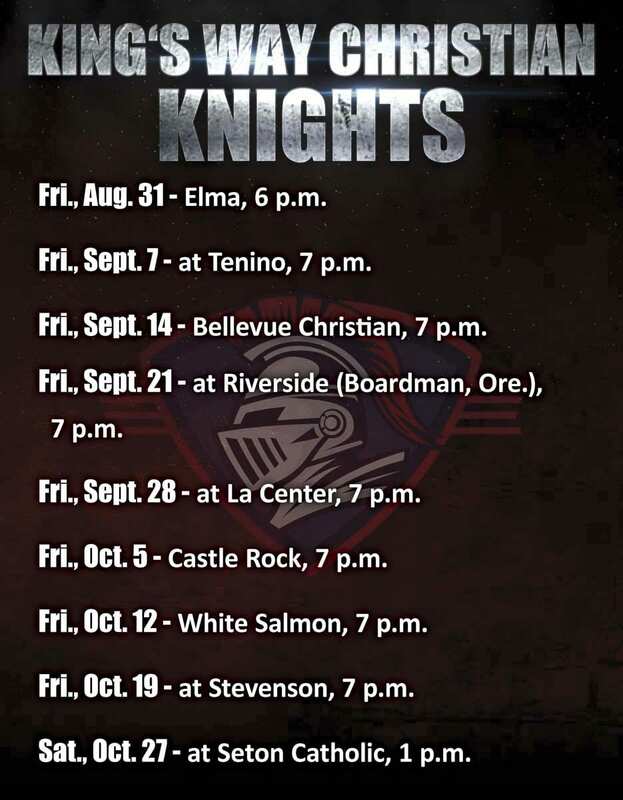 Naturally, Scott said he would love to see it all come together this season on the field, that the Knights could go on a magical run and make the playoffs. Honestly, though, he would rather be part of a larger legacy. “Overall, I just want the program to grow this year. I want the students to be excited about Friday football games instead of ‘Can’t wait to see you guys lose.’ I want the team to grow, and I want the school to be excited about Friday nights,” he said. Rodriguez appreciates that attitude. He also understands there could be some hesitation among those outside of the football program. No, he said, he will not be a one-and-done coach. He said results on the scoreboard will eventually take care of themselves as long as the Knights take care of themselves. “My vision for Year One is to have a lot of fun,” Rodriguez said, adding that he wants a culture of we, not me. The Knights need to be accountable, dependable, and coachable, he said. And the coaches need to show the same commitment to the players. As the football program has had its growing pains, Scott has just been growing. Scott was 5-6, 130 pounds as a freshman. Back then he was a quarterback. The next year, he was a tight end and running back. Last year, he became an offensive lineman and linebacker. Today, he is listed at 6-0, 200 pounds. Don’t tell anyone, but he secretly hoped to play tight end this season, to catch a few passes maybe, but he will play wherever the team needs him. That is leadership, too. He knows so many positions, but he will go wherever his new coach needs him. Naturally, Scott wants the Knights to feel victory this season. 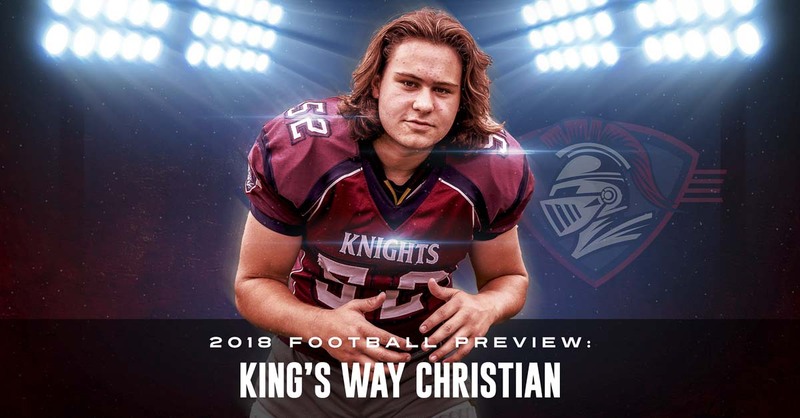 But because he is all about the team first, he knows the first item of the agenda at King’s Way Christian football must be stability. “The record doesn’t really matter. If the team is behind each other, and it’s fun environment, and people want to play here … that’s the most I could ask for,” Scott said. Then, after a short pause, he added one more thing to his wish list.